Over the past thirty years historians have begun to explore American penal institutions as part of an effort to reconstruct the social history of the United States and to create a more democratic record of our past. They have opened the doors of these institutions and shed new light on the relationship between prisons and the public attitudes and legislative actions which brought them to life and sustain them in our own time. But this renewed interest in the history of the penitentiary is not limited to scholars. Policy makers and the general public have raised a series of new questions about the nature and character of punishment in American history. Why do we punish? What do we hope to accomplish on behalf of society and the prisoner? What is the relationship between architectural design and the goals of punishment? How are the penitentiaries internally organized. What happens to a prison once incarcerated? How do we explain the persistence of the penitentiary for over two centuries when few other social institutions have survived as long? Sing Sing’s history not only offers insight into these questions but more importantly provides the essential context for a fuller appreciation of the complexity of the history of crime and punishment in the United States. In the first decade of our national history, American lawmakers began to search for forms of punishment which would transform a criminal into a citizen of the republic. They rejected the arbitrary and harsh punishments which they identified with monarchy and envisioned a series of just and temperate measures, ones which did not scar the body but renewed the soul. 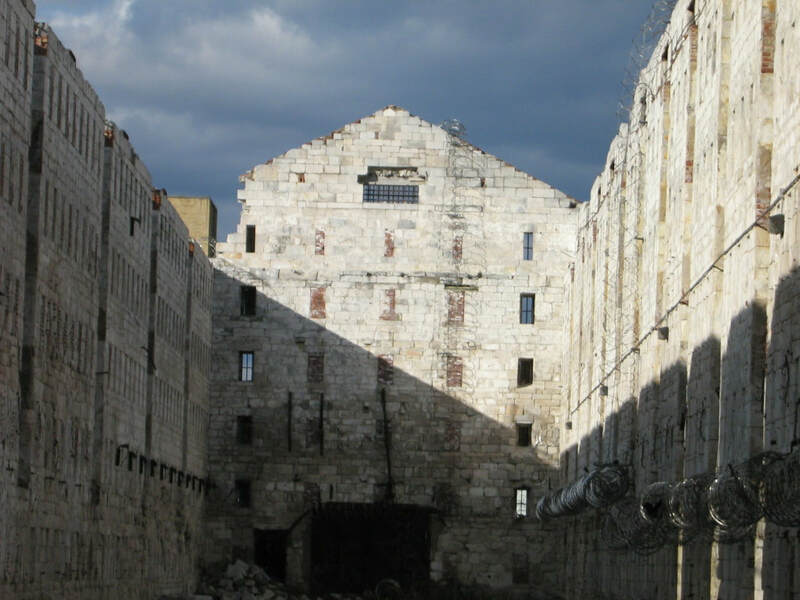 In 1790, when Pennsylvania designated the Walnut Street jail as “the penitentiary house” and New York State built Newgate prison in New York City, Americans took the first steps toward the penitentiary. 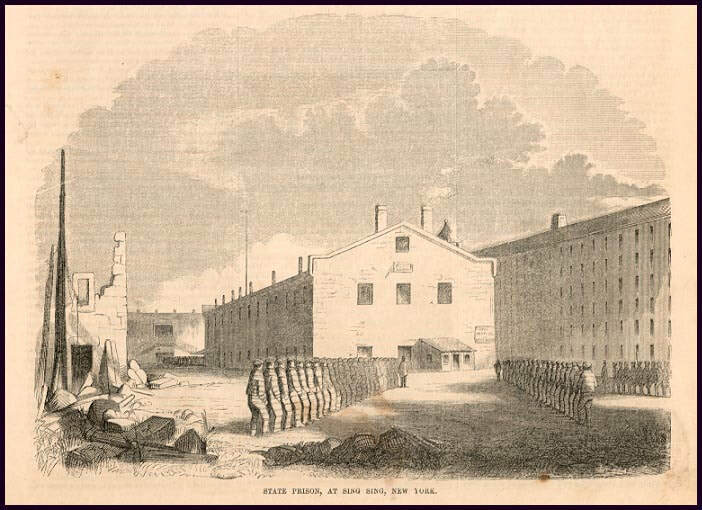 By the 1820s, ideas about punishment had matured into two competing designs, the solitary regime at Eastern Prison in Philadelphia and the silent congregate approach at Auburn in New York State. These were designated the Pennsylvania and the Auburn systems and came to dominate penal discussions and institutional planning for most of the nineteenth century. But although we identify the New York system with Auburn, it was actually Sing Sing that by virtue of national and international attention, became the representative of the congregate system. Sin Sing was the first penitentiary to fully embody the principles and design of the Auburn system. Sing Sing’s history is key to the evolution of the penitentiary. 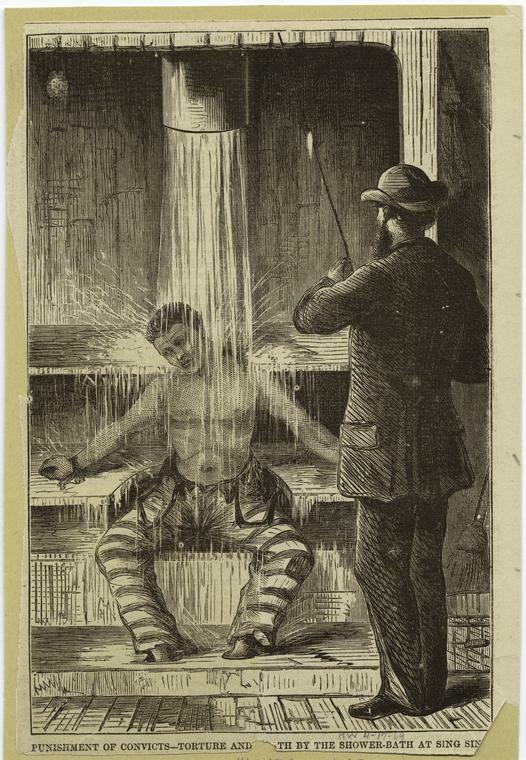 Sing Sing was and remains to this day one of the principal agents of punishment in New York State, and its reputation and image evoke a powerful response in the minds of Americans and Europeans. Sing Sing is fixed in the popular imagination as the “American Bastille,” “The House of Fear,” “The Big House,” and the “shock” prison of the penitentiary movement. From its very early days, Sing Sing was the destination not only of penologists but the curious general public who came in such numbers that they became a long term intrusion in the daily life of the prison. 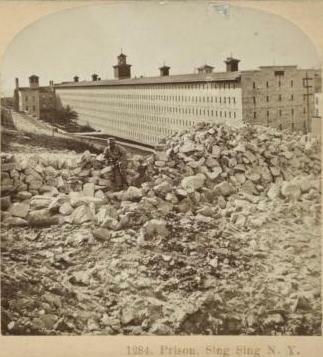 Sing Sing’s reputation as a place of dread and terror was, according to prison officials, legislators, and reformers, a function of the urban character of the inmate population, the overwhelming majority of whom were New York City criminals. The colloquial phrase “up the river” meant that a convicted New York City criminal would do his time at Sing Sine. The phrase reminded the public of the geographical links between Sing Sing and New York City and between urban crime and its punishment. New York City’s connection with Sing Sing is not only a function of the number of urban criminals in the prison’s population but a result of the intense focus of City newspapers and magazines on events at Sing Sing. 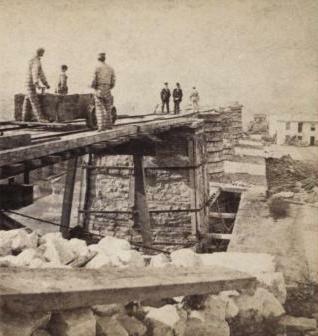 The New York Times reported events at Sing Sing as if it were part of the local beat, published over a thousand about the prison from 1858 to 1980, and inextricably bound the prison and the City together. 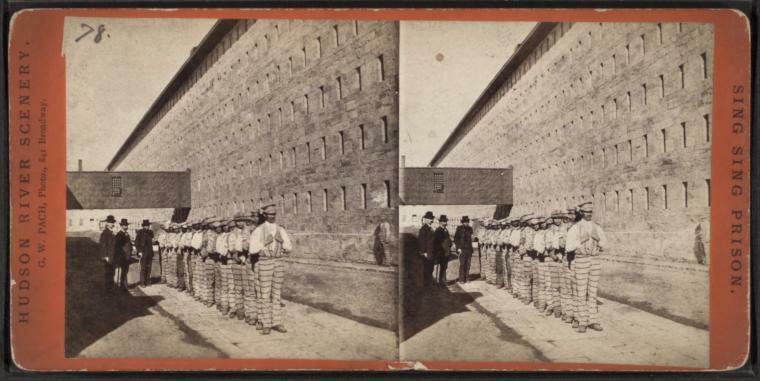 Sing Sing’s historic nineteenth century cellblock and its institutional history offer both scholars and the general public a window into the American search for a republican form of punishment. Its story is at the core of the history of punishment in the United States.